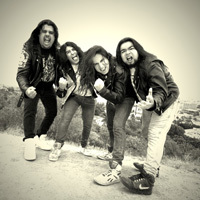 Starting in 2002 with Carlos Gutierrez on drums and Sal Zepeda on guitar the two began to put a band together not knowing how far they would take it. Carlos and Sal started to ask their close friends to join the band and this is when they got Adrian Gallego to play Bass. As they went through a few vocalists, Rick Rangel came to a practice one day, got on the mic and joined as the vocalist. As time passed, Adrian dropped out and Rick picked up the bass and Fueled by Fire picked up another singer (Ray Fiero). As they progressed they decided to pick up another guitarist and that’s where Anthony Vasquez joined as bassist and Rick switched to playing the guitar. 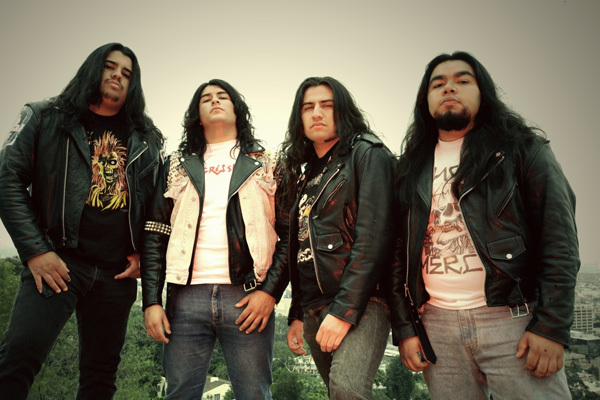 This was the line up for a few months through 2003 until vocalist Ray left the band in January of 2004 and the band began the search for a new vocalist. 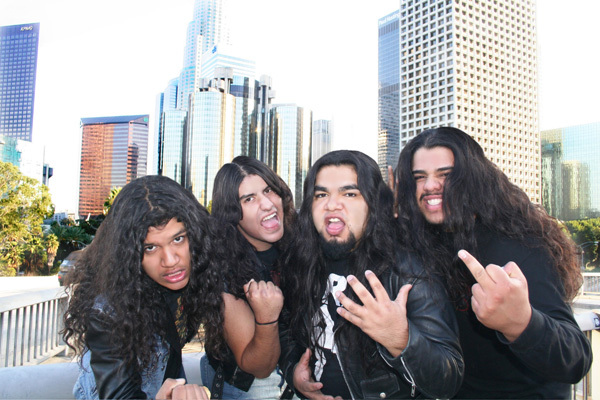 It only took Fueled by Fire one day to find Jovanny Herrera (AKA – Gio) from East LA. Gio was the first and the last guy asked to try out. The band only needed to hear one song, which happened to be an original that Gio wrote plus he played guitar. 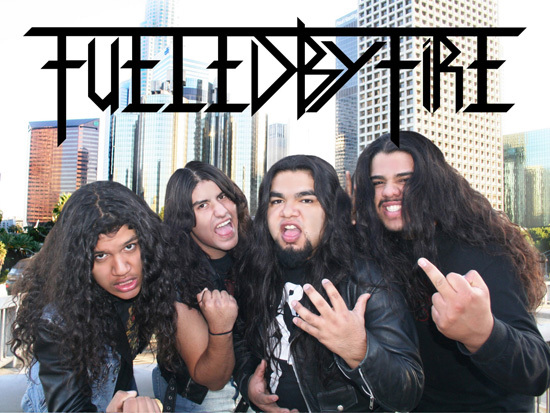 So it was decided, Gio would be the new vocalist and the third guitarist for Fueled by Fire. 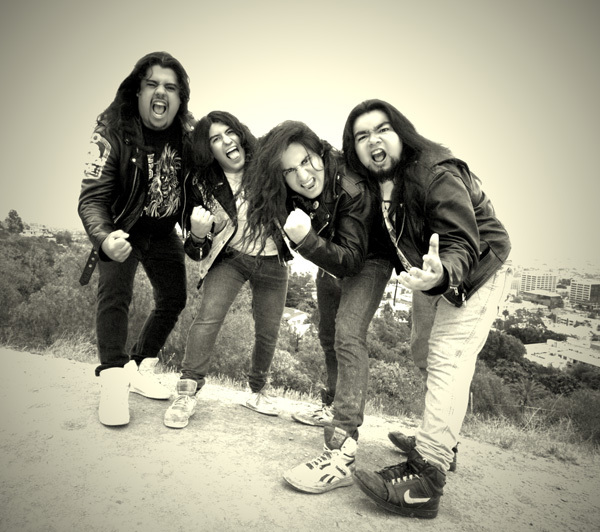 Within the first two weeks of Gio being in the band they were in the studio adding Gio’s vocals to the first four track demo – Life…Death …and Fueled by Fire! A month later the band played their first Whiskey gig with this lineup and the response was overwhelming. 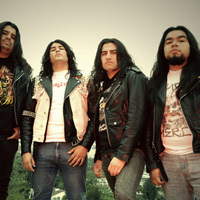 With many shows to follow, Fueled by Fire had been creating more songs along with playing a variety of covers from influences like, Iron Maiden’s Killers, Trooper, Hollowed Be Thy Name, and Prowler, Testament’s Over the Wall, Judas Priest’s Hot Rockin, Exodus’ Pirahna, Slayer’s Die By the Sword, and Megadeth’s Wake Up Dead. 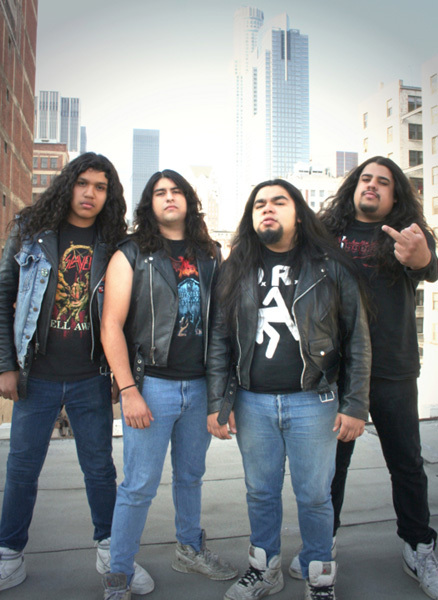 Although Fueled by Fire had grown musically it was the decision of Sal to leave the band to play a different style of metal. 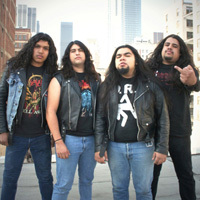 Since Sal’s departure Fueled by Fire decided they would keep the lineup with the four members that were left completing Fueled by Fire’s current line up. 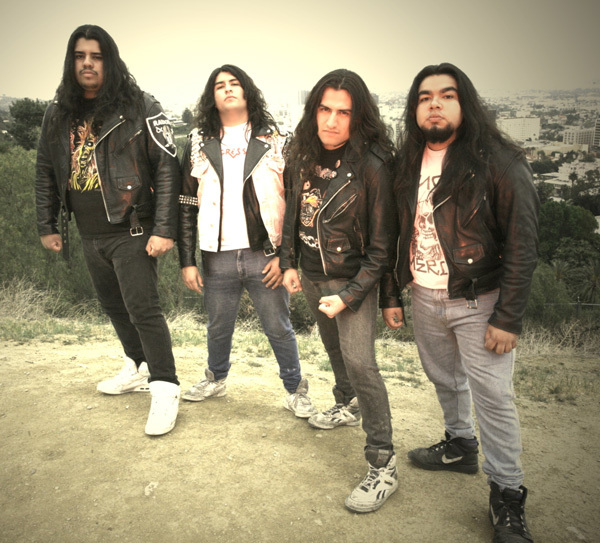 With the collaboration of all four members Fueled by Fire have remained true to their craft and dedicated to the return of Thrash Metal. In November 2006 Fueled by Fire was contacted by Brian Slagel owner/founder of Metal Blade Records and top execs from Metal Blade came to see Fueled by Fire perform with Hallows Eve and Hirax. By March 2007 Fueled by Fire was officially signed to Metal Blade Records. 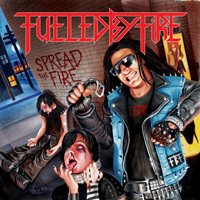 Fueled by Fire soon returned to the recording studio to record their debut album SPREAD THE FIRE!!! which contains nine tracks.